Clear and immediate insights into patient condition. That's how you improve clinical effectiveness. Gain new visibility and prove effectiveness. No more guessing games about patient status and clinical effectiveness. Our dashboards make accountability and visibility effortless. Increase efficacy with specialty-specific tools. Olio’s unique, specialty-specific playbooks and dashboards create a shared language for better outcomes. Our digital platform connects acute and post-acute providers, making direct, real-time communication possible throughout the post-acute episode of care. A new era of episodic care is here. Save time and resources using a modern workflow. Stop tracking down information on archaic systems and focus on value-added tasks. 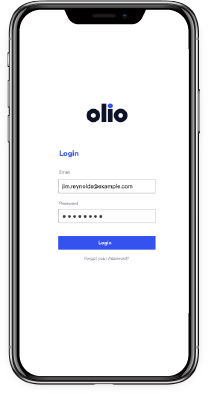 Olio is the first HIPAA compliant platform to enable communication and collaboration across devices for the post-acute episode of care.